Tuesday night and Wednesday will be the first snow for many in the midwest. 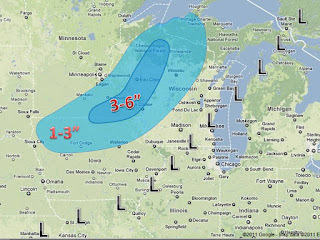 A storm will emerge from the Rockies and head up towards Chicago and pass through wisconsin this week. 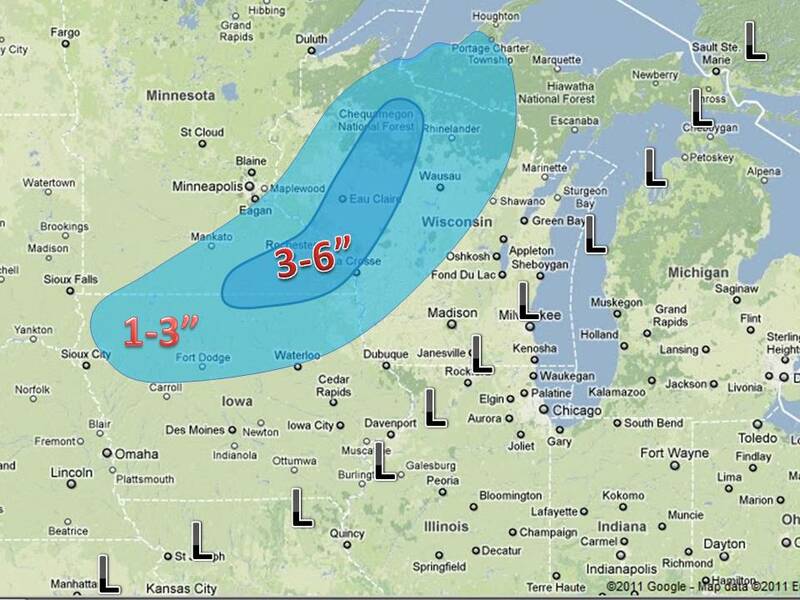 Rain will overspread the area and change to snow in the northwest parts of the midwest (see map). The track has sifted west again, causing the snow amounts to increase. Currently it looks like up to 3-6" will be likely on grassy surfaces in the outlined area. All the models are narrowing in on the track so the forecasts looks good. It still may shift 10-15 miles west or east so stay tuned.